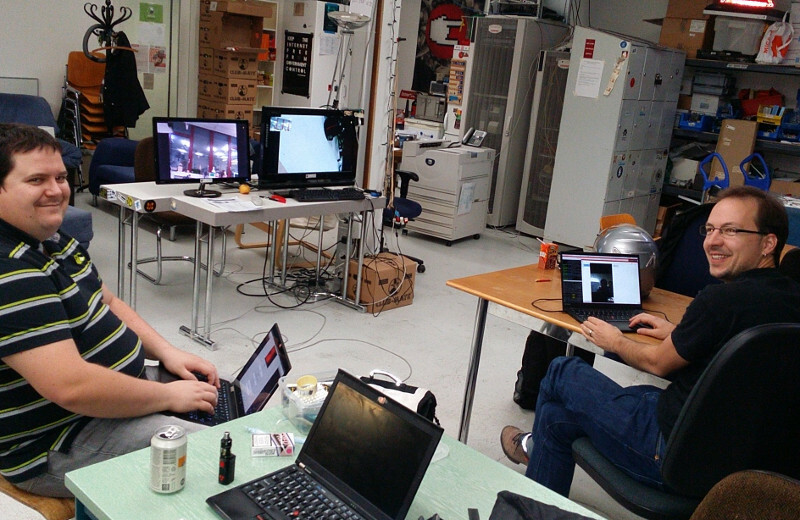 Francois is using Raspberry Pi and PiCam to develop a telepresence network for hackerspaces (the big screens in the middle of the photo). The original version of the telepresence solution is using WebRTC. Ring's OpenDHT potentially offers more privacy and resilience.